This is your life. Do what is essential to make it the best with these 20 achievable tips. We live in a world of time famine, stuffocation and addiction to entertainment rather than education. So it's time to eliminate some of the noise and distraction and get back to the basic essentials. It's time to start living on purpose again. 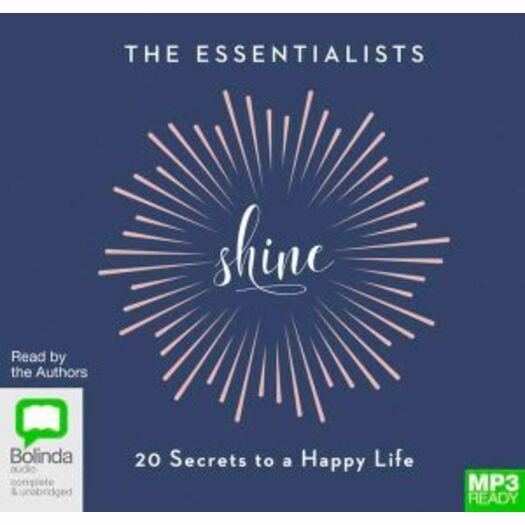 From The Essentialists comes Shine: a short and stylish guide to 20 simple life skills that will help you to thrive. From 'Clarity' and 'Mindfulness' to 'Declutter' and 'Sleep', each chapter is enormously practical and truly inspiring - explaining the game-changing potential these techniques hold, and how to master them in easy steps. Discover the power of having a vision, learn how to set effective boundaries, and understand why keeping a journal can make you happier. It's not about doing more - it's about doing what's right for you so that you can truly shine.